Working with David he is focused on building a better relationship with your horse. It’s about understanding and developing a shared language and building true communication and connection. It concentrates on building your confidence, helping you to become a respected and trusted leader. What distinguishes David from other trainers is not only that he understands the language of the horse, but he has a strong ability to transfer his knowledge and skills to you in a way that it is a truly positive, rewarding and empowering experience. 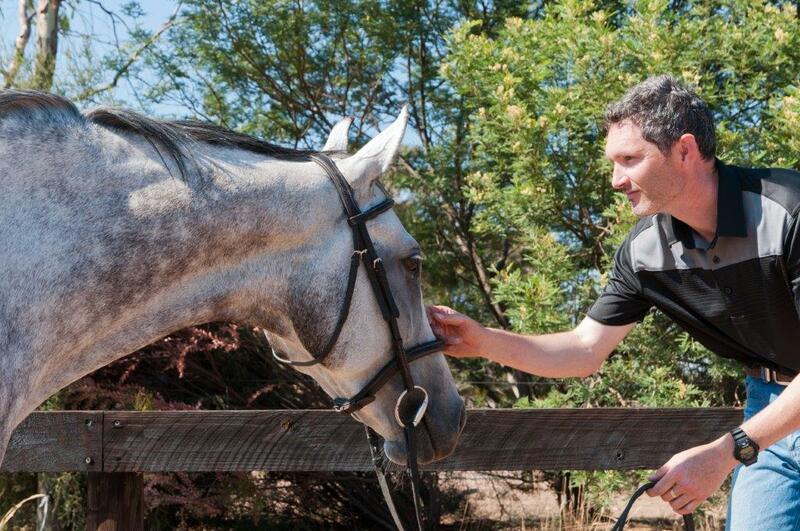 Most important of all, David has a genuine interest in your horse and your personal progress. He provides you with knowledge and skills that help you to grow and develop into a true horse(wo)men. David offers private lessons, clinics, events and excursions for individuals and groups at all levels. There are 4 main clinics that David offers. This 1 day clinic is centered around helping a small group of riders become more confident and relaxed riding their horse out of the arena and into the surrounding paddocks. 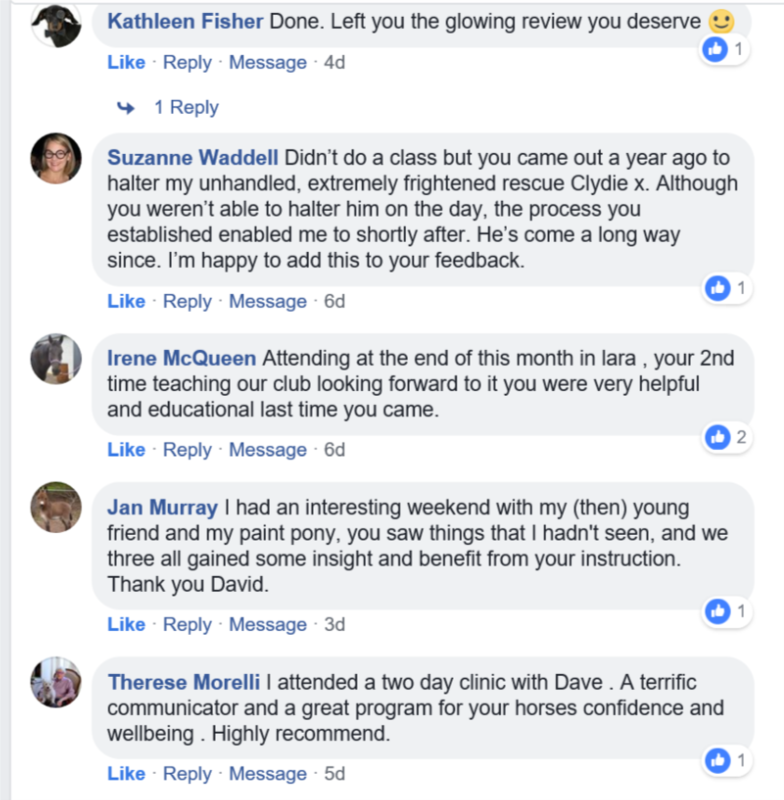 The clinic is for nervous riders who need that extra support to become successful with their horse. This is a structured day to develop a plan for success. Morning starts at 0930 with a 1 hr theory session. Then 2 hours ground work and arena riding. 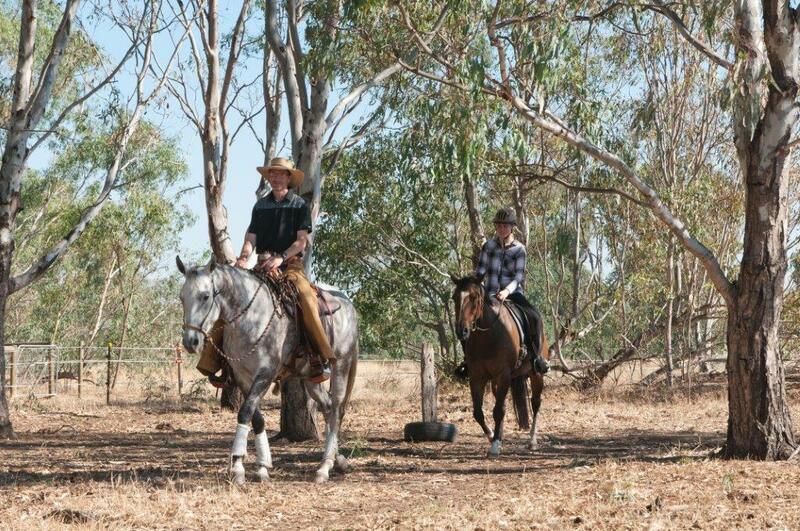 Lunch followed by riding out in the paddocks using the skills you mastered in the morning. We will not be riding out in the bush/trail. An introductory course for the avid Horseperson wanting to learn the how’s and why’s of correct Lunging. This 1 day course has been created to provide a structured learning process to help riders learn how to introduce lunging using the traditional Cavesson. Starting your training in a Halter - How? The 3 critical elements for achieving success with your lunging. Rhythm, Path and Posture. Is my horse working correctly? What to look for. Come and take the opportunity to develop both your horse’s confidence and your skills. 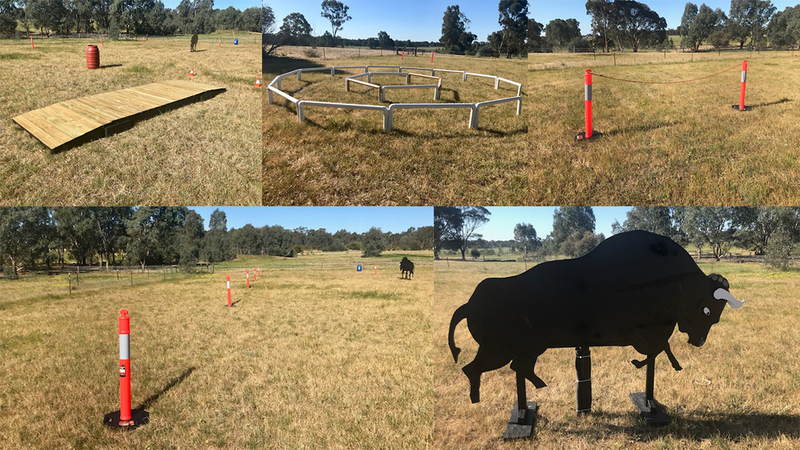 Our newly constructed Maneability course comprises of over 12 permanent individual obstacles to train with. Morning session: Preparation on arena. Utilizing Balanced lunging* to develop relaxation and rhythm. Improving your riding basics to prepare the horse for the obstacles. Develop the core ingredients of balance, relaxation and rhythm. Afternoon: Training on the Maneability course. Students will be able to work individually with all the elements. They will have the opportunity to practice the course under test conditions. All tests will be at the individual riders/horse personal level. 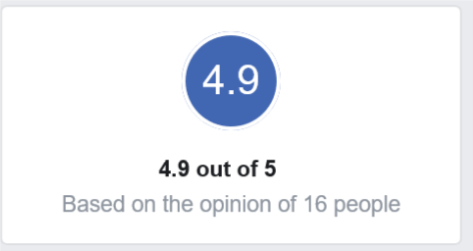 Our format is very consistent regardless of the duration of the clinic. We always start with our foundation ground work. This is designed to build a solid foundation with you and your horse in a way that is both safe and effective. We call this building a connection. Once a connection is established we can transfer this to the saddle. Building on the exercises that you started on the ground you will move through a range of skills designed to teach relaxation, softness and responsiveness. David has developed a method of marrying the two worlds of Natural Horsemanship with the traditional concepts of dressage. He believes this gives students the best of both worlds regardless of age or ability. There are 4 distinct sections to his method. Section 1. Building a connection - Basic ground skills. This is the Natural Horsemanship skill set that is crucial for every riding to have. This gives a rider the techniques and knowledge that is so fundamental for working with horses. Learning how to connect with the horse. How to hook onto your horse. The psychology behind horses and training. Section 2. Lunging in balance. Moving forward from the Natural Horsemanship and developing the balance and relaxation on the lunge using a Cavesson. Teaching your horse to move in a balanced and relaxed posture without bracing is the cornerstone of achieving any goal with your horse. Section 3. Riding using Natural Horsemanship skills and techniques. This section ensures that all rides have a solid understanding of how to keep themselves safe. How to bend a horse, develop lateral flexion, footfalls & timing. Learn patterns and methods that can help settle and calm your horse so you can enjoy the ride. Section 4. Riding to achieve balance. The final and most important section of the program. Too many people get stuck in section 3. They are never given permission and shown how to move forward from that path. 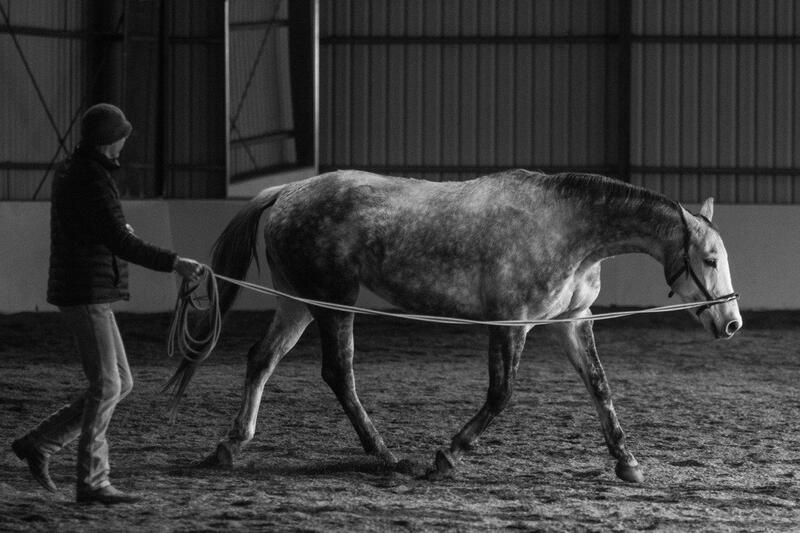 Develop the balance, posture and relaxation using the principals of traditional dressage. Understanding the basic bio mechanics of how a horse moves will help understand why a horse needs to move in a certain way. The open jaw, relaxed swinging hindquarters, soft muscles with regular rhythm are all key highlights that a students will learn with David.